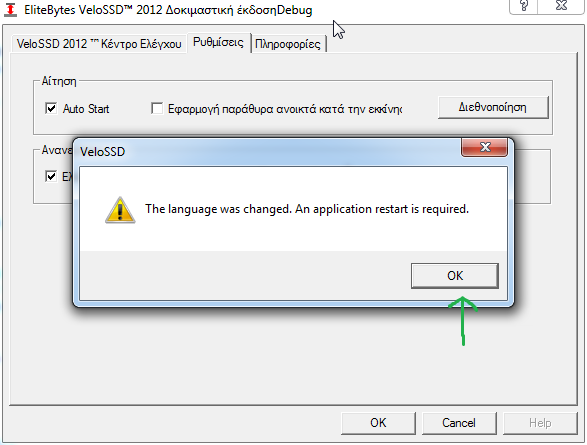 How to reset the application language. You can alter the language setting as you like. Here I show you how to reset the language to the default. Follow these steps to reset your user interface. Click on the green highlighted button. Then, click on this green highlighted button. You will see this Message in your default language. Again, click the green highlighted button. The application will shutdown. When you restart the App, you will see that your default language is active.